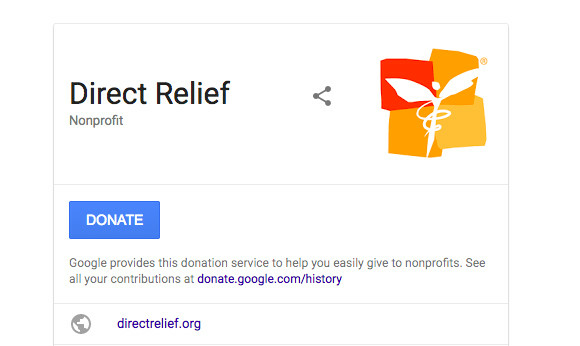 Google Adds A Donate Button To Search Results To Promote Donations During The Holidays. Unlike Facebook’s Charitable Givings feature that has gotten popular with users who “donate” their birthdays to fundraising, Google does not charge a fee when donations are made through its button. (Facebook charges 5 percent for donations made within the US.) However, for Giving Tuesday, Facebook says it is working with the Bill & Melinda Gates Foundation to match up to $2 million in donations, and it will waive the usual 5 percent fee for contributions made this on its platform today. Facebook is also expected to hold a Social Good Forum in New York City on Wednesday, where CEO Mark Zuckerberg will be in attendance. According to Google, about 30 percent of charitable donations occur during the holiday season. Its hopes are that the new donate button makes it easier for online shoppers to consider giving, though it is currently live for US-based charities at this time. In the past, the company has added a similar function during natural disasters so those reading news alerts can be prompted to contribute.